Obesity is rightly blamed for causing hypertension as every third person with obesity has high blood pressure. This incidence increases in morbidly obese patients. When hypertension is present in an obese person (who usually is also suffering form other diseases like diabetes mellitus, obstructive sleep apnea and many others), chances of grave complications and premature death increase. Persistently high blood pressure or hypertension can lead to serious consequences in the long run. Effects of hypertension on different organs of the body are deleterious and include brain-hemorrhage, hypertensive heart disease, coronary artery disease, kidney failure, and retinal diseases. These complications occur with the passage of time even in those who take regular medications. This necessitates adopting some measure that really cures hypertension and this effective measure in obesity is weight loss. 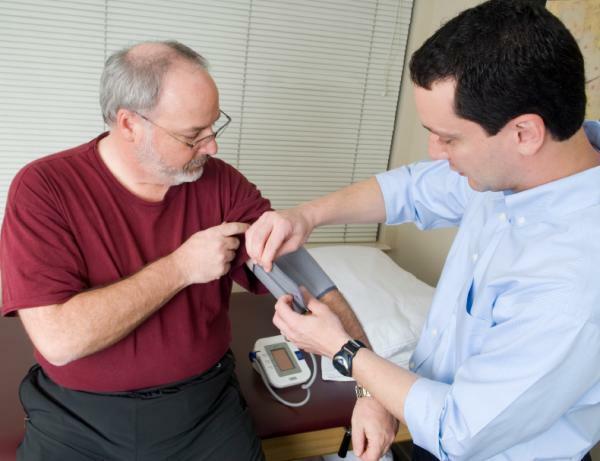 Can losing weight helps in reducing blood pressure? Losing weight has predictable as well as measurable response on high blood pressure. According to the research, losing one kilogram (or two pounds) of weight reduces blood pressure by 2 mm of Hg. This is really a wonderful thing. Imagine if you are obese and hypertensive, by losing just few kilograms you can come to better control of hypertension. Miracle of complete cure of hypertension can even happen if you lose all the excessive weight. Why Weight Loss Measures Fail? Reading and listening about health benefits of losing weight sounds good but the practical question that comes in mind is how to lose it really? As a matter of fact, many people keep on trying different methods for losing weight with marginal success or no success at all. They become desperate and don’t want to try anything more. What goes wrong with them is their wrong-directional effort: wrong selection of weight loss methods. Different weight loss methods are effective only at specific degree of obesity. Eating low calorie diet and exercise are uniformly helpful in losing weight but when obesity reaches to morbid level, these measures alone are useless. That is the point where weight loss surgery becomes necessary. So keep one thing in mind when your BMI is more than 40 (or BMI 35 with some co-morbid condition), weight loss surgery is a wise option to overcome the problem of obesity. Weight loss surgery gives quick results in little time with benefits of curing many medical diseases including hypertension. Apart from causing a significant weight loss, bariatric surgery has also been proven very beneficial in curing hypertension. The research in this aspect strongly recommends bariatric surgery for morbidly obese patients. Several studies published in world’s renowned health journals show a definite improvement in hypertension after bariatric surgery. The nutshell of research says weight loss surgery benefits hypertensive patients in following two ways. A significant number of patients who are morbidly obese and hypertensive if undergo weight loss surgery, will be cured of hypertension. Patients not completely cured of hypertension after weight loss surgery, will be benefited by getting good control of hypertension on least number of medications at relatively lesser doses. This is real advantage of weight loss surgery over other methods. Remember taking regular medications for hypertension is not an easy task moreover, with the passage of time complications of hypertension develop that are irreversible. So before hypertension grabs you firmly, make a decision to nip it at the bud by losing weight. If you are obese and have BMI more than 40 or 32 with some co-morbid disease, weight loss surgery is a right option for you. Don’t waste your resources and time in useless directions ending up in failure. Also remember weight loss surgery is a highly specialized surgery which only benefits when performed at hospitals that really take care of all aspects of patient’s safety. Select a dedicated bariatric surgery hospital for your dreams to come true safely. Don’t accept a few dollars cheaper /substandard bariatric surgery centres for your weight loss surgery because putting your life at risk is not a wise decision.